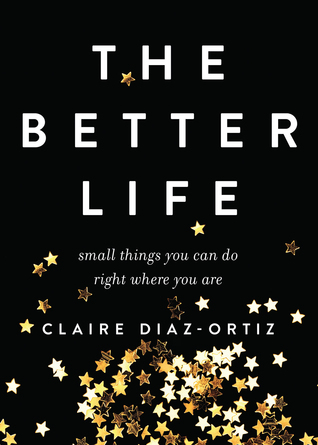 This is a small book that Claire Diaz-Ortiz has put together on her opinions of a better life. I am always up to read encouraging tips or advice on ways to enjoy life more or new things to do. Most everything in this book is stuff I have read before, my favorite chapter was on how to say no. I think she wrote that chapter especially well. But the rest of the book was a bit of a let down and I felt like it was almost selfishly written or perhaps more of a brag book. I think it is so great that she has seen and done so much, and I usually don’t mind reading books where people talk about their travels. But this book just made it sound like she was bragging at times and that bugged me a bit. That is just my perspective. She does have good things to say and I agree with most of her ideas but I find there are better books written on the subject.